Director Denis Villeneuve’s take on the kidnapping thriller is more intelligent than most in the genre but ultimately is less-impactful than his previous film, the Academy Award nominated Incendies. Prisoners is a dark and ominous film that has been crafted with passion and technical skill but at times suffers from a script that could have been shortened. 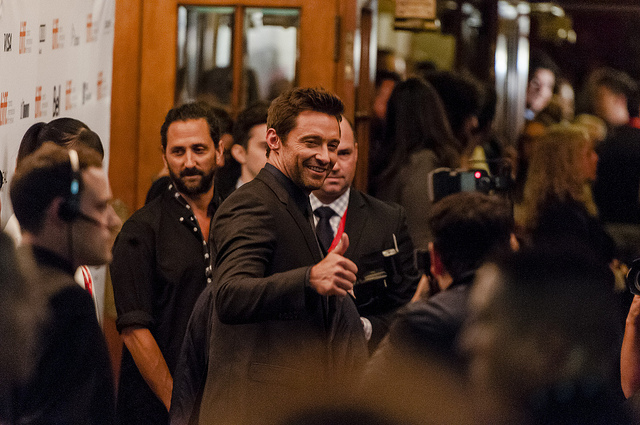 Keller Dover (Hugh Jackman) and his family are headed over to the neighbour’s house for Thanksgiving dinner. After the meal, Keller’s daughter Anna and her friend Joy, daughter of the neighbours, go out to play. As time passes, Keller and his wife Grace (Maria Bello) realize that nobody has seen the girls. The two families begin searching both houses and the surrounding area. Keller’s son Ralph (Dylan Minnette) explains that he saw the girls playing on an old motor home RV, parked outside another house before dinner but it is now gone. The girls are nowhere to be found. 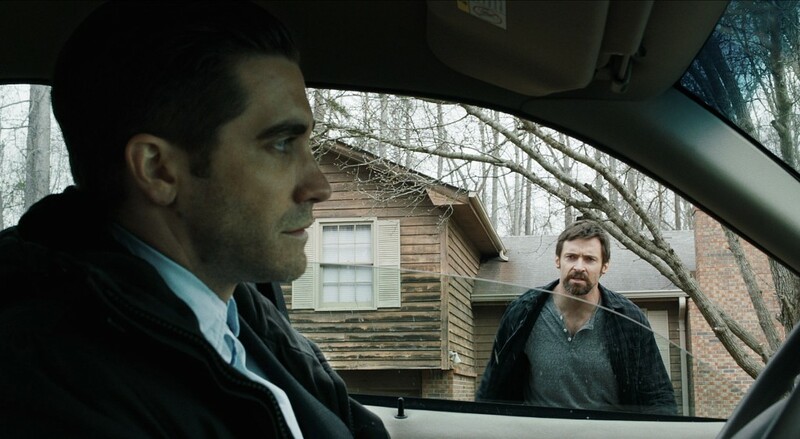 They call the police and Detective Loki (Jake Gyllenhaal) begins investigating the case. The police quickly locate the RV and its occupant Alex Jones (Paul Dano, also in this year’s TIFF offering 12 Years a Slave). They arrest Alex, take him in for questioning, and take the vehicle in to be searched. The vehicle is clean and Loki is unable to get any information out of Alex that would keep him locked up so ultimately he is allowed to leave. This upsets Keller, as he is convinced that Alex is the one responsible. Loki continues investigating several possible leads but the progress is slow. In talking with his Aunt Holly (Melissa Leo), Loki discovers that Alex has the mental capacity of someone much less than his age so it would be very unlikely for him to pull this off himself and deduces that he likely had help from an accomplice. Days pass without any resolution and with child kidnappings, every hour counts. Keller, unsatisfied with the slow movement on the case takes matter into his own hands and kidnaps Alex and holds him in an abandoned house. He begins torturing Alex to try and get any information out of him. After some time, Alex begins to break and lets some information slip that moves the case forward. When Joy is found alive, the pressure mounts to find Anna while she is hopefully still alive. With a lengthy run-time, this film could have benefited with some editing in post production or with some tightening of the script. Villeneuve is perhaps attempting to pace the film in a way that shows the audience how excruciating it must feel as the hours pass on a child kidnapping case, but it may be that it would be stronger if the editing of the film was quicker to heighten the thriller aspect of the story. It feels quiet and slow at times and that can be a dangerous quality for a film, as it risks losing the interest of the audience. However, this film is an exquisitely crafted piece of cinema. From the beautiful cinematography of veteran Roger Deakins, to emotional performances from the ensemble cast, Prisoners is a smart, intelligent crime thriller. Hugh Jackman, in an unconventional role for him, shines as a father desperate to protect his family. He gives an intense performance as we watch him become consumed by anger and agony. He takes a commanding lead and the rest of the cast follows. Paul Dano is also notable as the disabled young man accused of the horrendous crime. Prisoners is an enjoyable film that makes the audience think. It is a refreshing change for genre that too often relies heavily on conveniently placed red herrings to misdirect and confuse the audience and instead slowly reveals itself in layers. Villeneuve shows us once again just how great a director he is as the film gradually plants its hooks in the audience and reels them in.